Avengers: Infinity War directors elaborate on Soul Stone theory – AiPT! The Avengers: Infinity War directors clarify a previous statement made surrounding a certain character’s death. A few days ago we shared comments made by Avengers: Infinity War director Joe Russo concerning Thanos’ surrealistic vision inside the Soul Stone. A recent interview with Comicbook.com reveals that Russo’s comments may have been misinterpreted however. ‘The power that it took Thanos to click his fingers, he’s so dramatic that if you look closely at the film and the damage of the gauntlet,’ Joe Russo said. That is, Gamora isn’t alive inside of the Soul Stone but rather, the vision Thanos had was “a spiritual representation of her.” The finality of Gamora’s death might be a bitter pill to swallow, but it makes Thanos’ decision in his “hero’s journey” all the more significant. 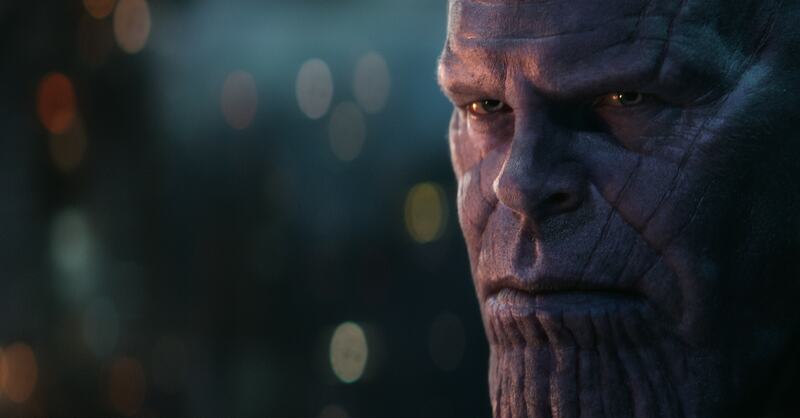 Will the guilt and pain as a result of Thanos’ actions play into the next installment of the Infinity War saga? Sound off in the comments.